Special Abilities Rejuvenation Retreat is Most Valuable for Your Life! Miracle results appeared in the retreat and verified by yourself. As Day I installs energy ball and you will not be hungry; Day II opens special abilities and verified by yourself. 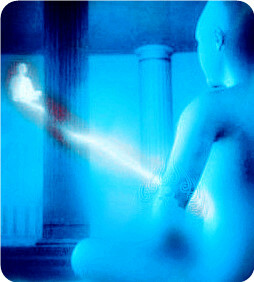 * Spiritual awakening of "Soul Travel"
* Receive Wuji dimensional gift. * Not limited to any religion. It was called "fundamental healing retreat": The healing technique has rare and unique effects and the on-site participants were shocked and upheaval, but in order to keep the 3.1D effect in 3D world (D: Dimensions, ordinary people are defined as 3D energy level, starting prolapsed reincarnation as 4D or above. Almost 100% of the retreat participants at the end of the retreat can arrive to 3.1D energy level), it requires the participants to raise the energy ball baby continuous or periodic, not exceedingly to wither, so it called continuous raising energy ball baby. Only with the energy ball people can live longer and achieve solid spiritual growth. Prolapsed 3D dirt, Participants can maintain the energy level and live really wonderful and spiritual life and keep practicing to higher energy level until enlightenment (Qinway system includes self healing techniques, rejuvenation and beautification & more high-dimensional practice techniques, etc.). Unprecedented creative with rigorous scientific attitude, Qinway prepared and implemented the human detoxification and energy infusion process as the technique procedure. All retreat participants, without any exception, successfully completed their system change for body, mind and spirit, including dispel various root of diseases. 'Too Qi Filled to eat' : This Powerful and renown System is the collection of China's Top thousand years Tao's secret Healing Technique and Modernized! The Bigu method is preconditioned by 'Too Qi Filled to eat' and eat the “signal food” which was infused with high universal energy to achieve profound healing and rejuvenation, the special healing result appears in just a month even just a few days! The healing system amazing results were very famous in Beijing 20 years ago. After that it offered in America and many students came from Different Countries and many miracles happened. This Retreat program has Changed & Optimized many Students to Great Lives! This will be effective & verified by yourself! Great results are guaranteed! The unique program has 20 years successful experiences. It is special designed with the unique teaching in small group and signal connection and on site comment by Grandmaster. This will be your most unforgettable memory in your life and benefit your healing, rejuvenation and enlightenment as well! Life is short, it is important to get quality life with health, longevity with Energy Ball Life! Develop and verify extraordinary abilities on the spot, including Third Eye, remote diagnosis, invisible needle, soul travel, and self protection to help purify and uplift your spirit. Why should you care about special abilities? There are three main reasons. First, without special abilities, you can not access universal energy directly. Second, you may use these special abilities and Healing techniques to heal yourself and others. Third, it is a necessary stage and verification of your progress on the path of spiritual growth towards real health & enlightenment. Activate an account to receive spiritual energy balls from Ocean or lake, sky, earth and mountains, beach sand healing or immortal walking & talk to tree methods. * Personalized teaching, timing corrections, channel opening, "no hunger" energy ball "installation" directly by Founder. * When you successfully finish "retreat homework" to purify and magnetize your energy, most of your students will experience Qi, pain relief, weight loss etc in the very first class. The unique program includes part I & part II, the part I (section A) teaches in person, the part II (section B) is after the retreat to continue Bigu at home for 108 days, the part II is very important for building healthy foundation and remove out the root of diseases with grandmaster individual daily support. This Special Abilities Retreat blends profound new knowledge and supreme techniques with your personal experiences to facilitate your spiritual awakening to Heavenly Ladder. * Stay in a high-energy closed Qi field continuously for 4 Days, which gives you an energy foundation that is often worth 10 years of diligent practice. During the second part of Retreat (BIGU homework), Grandmaster offers remote energy supports & directions for over 108 days. 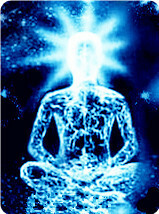 * Activate and verify special abilities on the spot, such as seeing aura, palm diagnosis and healing, remote diagnosis, Invisible Needle, Soul Travel, communicating with trees, activating an account to receive spiritual energy balls from Ocean, sky, earth and mountains, and more. * Acquire strong personal magnetism in a high energy Qi furnace, and become a Certified Healing Instructor. Time saving: This 5 Days Intensive Retreat is equivalent to ten year full time professional training in Healing, according to many Qinway students with decades of prior training. Its professional high level training can save you time, since beginning, intermediate, and advanced classes are no longer needed. Money saving: Through instant connection to universal energy and complete setup of energy signals, fundamental healing, beautification and rejuvenation can occur simultaneously, which saves you huge money in tuition, healthcare, medical and/or beautification expenses etc. Potential Magnetic Value: Grandmaster Qin helps you develop multiple special abilities from a high starting point. As you follow retreat homework and become a certified magnet, your can magnetize your students to quickly connect and achieve amazing healing results. Optimized Life Quality: It optimizes the quality of your life. You would never worry about cancer or other serious diseases. It also refines your spiritual software benefiting next lives. Learn secret Healing methods, BIGU and eating signal food to achieve profound healing and rejuvenation in just a month. * Stay in a high-energy field continuously to open energy channels between the human being and the universe, so that from day 1, you won't feel hungry or tired during BIGU. * Adjust your biological field, receive individual instructions about diet, color, number, fengshui, directions etc. 1. Individuality. No two people in this world share the same life signal and Qi field. This Healing program starts from analyzing each individuals's root causes of diseases and designing a systematic individual healing plan. This plan includes individually designed healing numbers, colors, healing food, directions, fengshui and methods tailored to your unique biological channels throughout your entire BIGU period. 2. Fundamental Approach. This complete Healing program empowers you to achieve the fundamental healing state in just a short time. Ordinary piecemeal approaches only make slow progress, and may be prompt to the loss of healing momentum. This retreat is like a "big bang" designed to break through bottlenecks in your health. You will stay in a closed high-energy field continuously for 24 hours to quickly open your channels and build up a strong Qi field - a crucial condition for fundamental healing. As a result, you will be able to get into the advanced BIGU state of "being too Qi-filled to eat". 3. Completeness. Like a piece of fine cloth, it's best to get a professional who can tailor it for you completely, instead of doing partial work here and there with varying qualities. Learning different systems piece-by-piece can make you feel comfortable initially, but it may not eradicate the root of diseases, and may not result in lasting healing and rejuvenation. Not using methods designed to work together may even cause energy disorder. Qinway Healing is not just a collection of exercises, but rather a complete and rigorous technical system. Qinway Healing , with its profound and broad contents, offers you a heightened experience that often cannot be described in words. In order to achieve this level of attainment, usually you would have to attend a spiritual university for three years. * Adjust your spiritual codes, and dissolve bad karma and blockages from past lives. * Heal difficult and chronic conditions, including problems of skin, overweight, hypertension, diabetes, joints & bones, insomnia, stomach & intestines, and female diseases. * Fundamental rejuvenation & beautification through internal cleansing. Significantly enhance energy level and reduce stress. Develop and verify extraordinary abilities on the spot, including Third Eye, remote diagnosis, invisible needle, soul travel, and self protection to help purify and uplift your spirit. Why should you care about special abilities? There are three main reasons. First, without special abilities, you can not access universal energy directly. Second, you may use these special abilities and Healing techniques to heal yourself and others. Third, it is a necessary stage and verification of your progress on the path of spiritual growth towards enlightenment. "Everybody has special abilities potentials. It is just a matter of developing them through professional Healing training in a high-energy Qi furnace". * Through connecting with the unlimited healing sources from higher dimensions, you learn how to channel universal energy instead of using your own organ energy for healing others. * Understand the golden key of healing through self experience. * Learn special ability diagnosis such as body sensation, palm feeling and seeing aura, and verify on the spot. * Learn five powerful healing techniques that you can immediately put to use with amazing results. * Uplift the energy of your palms to a much higher level for remote diagnosis, surprisingly accurate! After you complete the Retreat BIGU homework and successfully become a purified magnet, you will qualify as a certified Level I Healing Instructor authorized to teach Energy Recharge Methods, an essential part of Qinway Methods (a video kit is available for certified instructors at additional cost). Your students may experience the transforming power of Methods in the very first class. As a Level I instructor, you are NOT authorized to teach BIGU, because a BIGU master needs to have strong abilities, the lack of which may cause danger. * Experience an amazing Soul Travel to look for your true self and spiritual awakening. * Activation of Third Eye to see each organ. * Receive an amazing higher dimensional gift - Invisible Wuji Needle. * Through invisible means strengthen your magnetism and your connection with wisdom channels. * Receive a step by step training in becoming an outstanding instructor of Energy Recharge Methods. * Activate an account to receive spiritual energy balls from Ocean, sky, earth and mountains. * Receive a turn-key package (a set of practicing Methods teaching supplies) with strong support enabling you to start teaching easily. c) If you want to be natural healing expert, after Qinway certification program, you will be authorized to teach Qinway Recharge Methods. This top program is great verified in American for more than 10 years. It was commented by students as "the most time saving, money saving with miracle results for complete uplifting body, mind and spirit". This program uses unique top technology of human united universe in the world. This is current Qinway's most advanced program, however, this top program only suitable for the people whose mind, spirit, time, finance & understanding power is achieving ready. If your karma is not ready for this program, Intermediate Healing Retreat can be another choice; However, in Qinway history there were many students have skipped intermediate courses and were great successful! If your karma is ready, you may register immediately for getting into strong energy signal field. Individual consultation and healing with Grandmaster now only offer to the retreat students during the retreat. So don't lose this rare opportunity. During the individual session, you will have Grandmaster Qin's full attention, you can organize your detailed questions in advance. If you wish to schedule this individual session, you can register the individual session during the retreat registration. After your registration, Grandmaster will start to setup your individual info & connect to energy system; and you registration fee is non refundable. Now the individual healing and consultation session is combined with super healing technique. Cost: An individual healing and consultation session each costs $360/hour. (1 hour minimum after 1 hour using 10 minutes as a unit). Both sessions combined will get $200 off (original cost $720, now only offer combined sessions), and costs $520. If you took the retreat within one year: you will receive tuition 50% discount. If you took the retreat within two years, you will receive tuition 25% discount. If you took the retreat within three years, you will receive tuition 15% discount. If you took the retreat three years ago, you will receive tuition 10% discount. In addition, Grandmaster will uplift your energy level during the entire retreat. You could always get additional reward plus energy signal support. Additional reward will depend on the different virtue contribution and how initiative with good sense of responsibilities. If volunteers have dereliction duty or made mistakes by the absent mind, the system will also pay close attention to deduct the rewards by how often and how serious. Since the purpose of Qinway high being spiritual system only wish to serve and benefit more karma people. If you directly refer a new student to the unique retreat, you will receive $800 reward for your tuition, besides the huge virtue energy reward! 1 ) The unique retreat has very limited size, if the basic number is reached, you will be moved to the next retreat, and we will send your notification email ASAP. 2 ) After registration the new student is required to plan only one destination for this retreat trip, otherwise it will affect the best healing results. *Guaranteed: as long as you follow Grandmaster's instruction (includes her individual homework with individual Bigu days or her explanation in person). The unique 3.3D furnace retreat combines three retreats with amazing guaranteed healing results, but the tuition only $3600. After you finish the registration, Grandmaster will help connect you to Qinway high being system and setup the individual energy signal right away and your retreat space will be reserved, the result is garanteed. So the registration fee is non-refundable. From the retreat day one, you will fully enter the remote healing and opening channels high-energy field. You will obtain an energy ball to practice ancient healing immortality techniques, learn a complete set of powerful healing exercises, additional standing, sitting, walking, sleeping methods. You will develop and verify special healing abilities on the spot. You will experience soul travel, thousands tons of immortal water cleansing, opening third eye, receiving Wuji Dimension gift and crown infusion. It will be your most unforgettable memory in your life and benefit your healing, rejuvenation and enlightenment as well! All the food you eat during the retreat are energized by Grandmaster. (You can bring the nuts and fruits. After energized in the retreat, you will be noticed when to eat by Grandmaster.) The accommodation is not included in the tuition, this policy is suitable for the spiritual trip during the special retreat. Register Now to pay the retreat half tuition fee as registration. Click the following button to pay credit card. Or you may deposit the payment at Bank of American, you will receive one set of Yin Yang healing tea (12 days). Please contact 930@qinway.org for bank info. The retreat includes part I & part II, the part I teaches on the spot, the part II is after the retreat to continue Bigu at home with Grandmaster individual remote direction and support. During the retreat the students all channels opened by Grandmaster, she will continue supporting the entire Bigu at home for 108 days or even longer (fee additional). The Bigu supply contains Grandmaster individual daily remote healing & direction signals. As reminded the part II is very important for building your new system foundation with removing the root of disease. Grandmaster offer unique mountain healing foods & energized fengshui objects (optional) to help you to pass the most difficult Qi attack disease time, which are very helpful for detoxification and energy infusion, besides help you get quick rejuvenation, also can change your home Fengshui energy, make your Bigu at home much easier. Most energized items you couldn't even get from ordinary store. 1. How can I Learn Enough to Teach Effectively in Such Short Time? This unique Retreat is a closed high-energy Qi furnace that facilitates positive biochemical transformation quickly. In this rigorous methods program, learning a complete set of sitting, walking, sleeping techniques through opening channels, signal transmission, specially everyone obtains an energy ball and verifies the special abilities on the spot to get sudden understanding, you can become a highly qualified Healing instructor in a short time. 2. Why Do I Need to Attend this Retreat? Qinway Unique Retreat is by far the most complete and powerful natural healing system. It effectively heals and prevents diseases while rejuvenating and beautifying - it is a lifetime insurance of natural healing without side effects. This Retreat is instrumental in developing wisdom, special abilities and spiritual awakening. It also offers you the opportunity of an ideal Methods healing career. 3. If I Don't Have any Prior Practice or My Health is not Perfect, May I Still Attend this Retreat? Yes. During the Retreat, your detoxification and energy infusion happens rapidly. Your body will become lighter and more energetic when toxins and blockages are removed. This process simultaneously increases your magnetism and opens special ability and wisdom channels. In this way, profound healing, special abilities, certification and awakening are accomplished at the same time. 4. I Already have Training in Different Styles. How can this Retreat Further Benefit me? The three major components of this program are all unique and valuable tools. With the BIGU, opening special abilities and wisdom channels, you will gain a profound understanding of your true self and a road map to step-by-step enlightenment. 5. Does Qinway Institute Offer Remote Supports for Its Certified Instructors? More details will be taught on the spot during the retreat. 6. What Kind of Preparations are Needed for the Retreat? Once you register (submitting registration forms and fee), you enter a high-energy signal field while Grandmaster starts individual spiritual preparation for you. At that point it is best to start paying attention to your diet and having a clean information field. During the program, Qinway will provide a peaceful and highly energized environment. 7. What Language will this Retreat be Conducted in? This Retreat will be conducted in English, although Grandmaster Qin is also fluent in Chinese (mandarin). Our students come from all over the world, including Asian, Continental Europe and South America. Many of them do not speak English only as their second language, which have never prevented them from becoming high performing students. Above all, the transmission of healing signals through "universal language" is more important and fundamental, and the Qinway Unique System is profound yet simple. 8. What is 3.3D Mean? D: Dimension. Ordinary people are 3D energy level, during the Special Abilities Retreat program, the students have achieved high energy aura equivalent to 3.3 Dimension, which includes the special abilities for 3.3Dimension characteristics. In the meantime, it also achieved amazing healing results. During the soul travel, I saw a flash of white light. I felt very refreshed when the immortal water pouring down on me. Every part of my body was being washed. For some reason, I was moved into tears. Also I was excited to see some of my internal organs. After attending the Retreats, while I was practicing Qinway, I saw a seven-layer seven color pagoda, and I again climbed in the stomach of a dragon. Now my eyes became like a X-ray machine, and even my toes can emit Qi. I'm now able to see other people's brains. I was able to see my aura emanating from my fingers very brightly like flashlights. The meditation to open the Third Eye was very powerful. I experienced the inside of my skull glowing with light as if it were a temple. I saw a gold and red Buddha. I felt a lot of energy. When we did the palm remote diagnosis I was surprised and pleased at my ability to do it. After Special Abilities training, I used them immediately, and had my first successful experience. My friend stated that her severe back/hip pain was gone after the healing. During the soul traveling in Special Abilities Classes at Qinway Healing Center, I saw ocean and went into a cave in the cave-age time. I saw a few other people sitting around a fire in the cave, and felt like a family. I saw elephants. So incredible. I got back in touch with my abilities and feelings in order, and expand gifts I thought I had and, because of the Grand master, now know I have. I saw a view of my organs, and was able to see the heart and various organs in detail. During the soul traveling, I saw lots of moving colors. I also saw Grand Master Qin covered in strong lights. Afterwards I felt relaxed and warm, when previously I felt very cold. When I diagnosed my partner's stomach, I actually heard noise. I sensed his indigestion problem, which was confirmed. The sensation in my palms was amazing. I felt the medicine needle poking my skin. The Qinway certification program is powerful, enjoyable, and easy to master. After graduation, I immediately incorporated it into my healing practice as well as instructing patients on the Qinway exercises. They have reported many phenomenal results, and I was very excited. My greatest experience in this class is "true master" (Grandmaster). I felt very happy communicating with the Ocean spirit, which showed some pictures to me. I have learned many different healing systems before, and Qinway is the most complete system that I've ever seen. It helped me understand the truth of healing. I felt I was vibrating with the universe. I did experience much heat and energy rising inside me. I can see Sakyamuni in the light aura. Instantly I felt calmer and happier. I felt peaceful and didn't want to stop the Practices meditation. I experienced being strongly magnetized, and my channels were opened to the universe. Shortly after becoming a Certified Instructor, I started teaching Qinway Energy Recharge Methods regularly at the Learning Annex in San Francisco. Following procedures of teaching and arranging a qi field, my students reported excellent results on the spot - saw colors and felt energy all around; excellent releases; physically rewarding; sense of well-being and improvement; warmth in lower body and legs; more relaxed and lighter. Detoxification! My energy increased quickly. I gained four pounds in half a day, and in the other half of the day lost three pounds. The wordless textbook is very beautiful and touched me deeply. I felt I have understood the Dao (Way).